Weight: Min 45 kg and max. 135 kg. Age: From 14 years. If you are under 18, you must have permission from your parents. You participate at your own risk. All instructions from the crew must be followed. You are not allowed to jump if you are under influence of alcohol, are on strong prescription medicine or euphoric substances. If you have back-, knee or ligament injuries, have a bad heart or other serious circulatory diseases, you are not allowed to jump. Pregnant women and people with epilepsy cannot jump either. If you have any of the above illnesses, please consult your doctor before jumping, as we can not assess how bad your back, your leg or your heart is. Drunk people are not allowed to jump. We always reserve the right to reject people if we judge them unfit to jump due to alcohol. How long does it take to jump? The bungyjump takes approx. 25-30 minutes. Please meet up 10 min before your booking. Is it possible to have your bungyjump recorded? Yes.  Bungyjump Cph has equipment for recording and taking pictures of your jump. Be sure to mention it when you register. Can I record the jump with my own equipment? Yes and no. We must approve your camera setup before you are allowed. It is a matter of safety. What height are you jumping from? All runs take place from 69 meters. You jump from a crane beyond the water. It is also possible to get a water dip, where the body is dipped in the water during the jump. However, there is no guarantee that the jumper reaches the water as it has a lot to do with technique. Where does the bungyjump take place? Bungyjump Cph is located on Refshaleøen, Refshalevej 325 at Restaurant Halvandet.dk in Copenhagen. Here the jump takes place over the water. You can also jump over land, which is done to Grøn Koncert around the country. You will not get in touch with the ground when you jump. At Grøn Koncert it is also possible to order a tandem jump, which involve two people jumping together. Is it possible to order a gift certificate for a jump?  Yes, we issue gift cards to Bungyjump, which will be sent to you directly by mail. Once the payment is completed, the gift card will be sent to your mail after approx. 30 seconds. You can order your gift card via this link. * Please note that we only receive Dankort. Is it possible to order bungyjumps for a private event? Yes! By agreement, our mobile Bungyjump team brings everything we need to make a jump to your event. We provide equipment, personnel, and crane. You decide whether people have to pay you to jump or it should be free. Minimum price for startup costs is 35,000 DKK plus VAT. Contact us for a fixed price. Is it free if you jump naked? Upon registration, you will be weighed, receive subsequent equipment and instructed to jump. Empty the pockets. In the jump zone safety is first priority. Smoking and drinking are strictly prohibited as fire or broken glass can damage the safety equipment that will ensure you and others. You are attached to the elastic in leg straps on each leg and a body harness, which is the primary safety. In some cases, the jumper slips out of the attached leg straps. It can, of course, be uncomfortable, but it is not dangerous as it is the body harness, which is responsible for the primary safety. If you have problems with leg injuries, we also do just jump in the body harness. The bungyjump starts 69 meters above the water. The experienced jumpmasters guide you before and after the jump, so you can jump without fear and enjoy the ride. Our elastics are specially made for Bungyjump Cph. They are all equipped with an over-stretcher, which means that our elastics are never overloaded. Annually Bungyjump Copenhagen is approved by the Force Institute to perform Bungyjump.